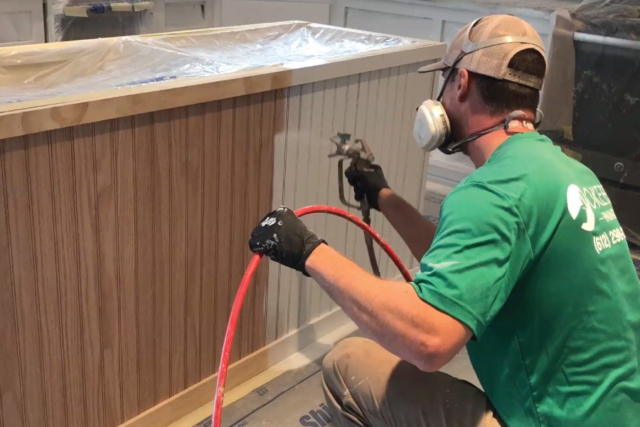 Painting your kitchen cabinets, bookshelves or entertainment areas can be one of the most gratifying updates you can make. 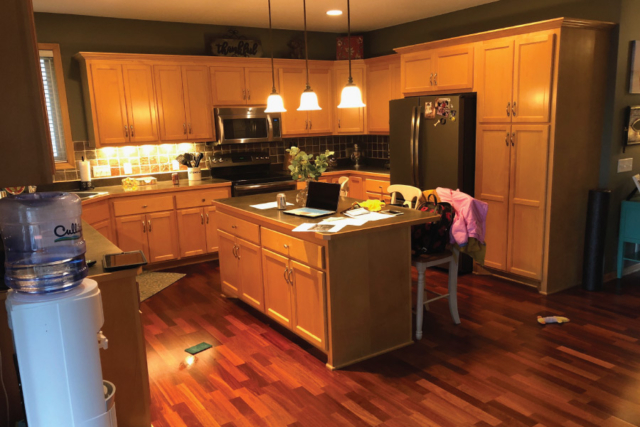 It brightens the space, adds contrast and provides a cleaner look at a fraction of what it would cost to replace. 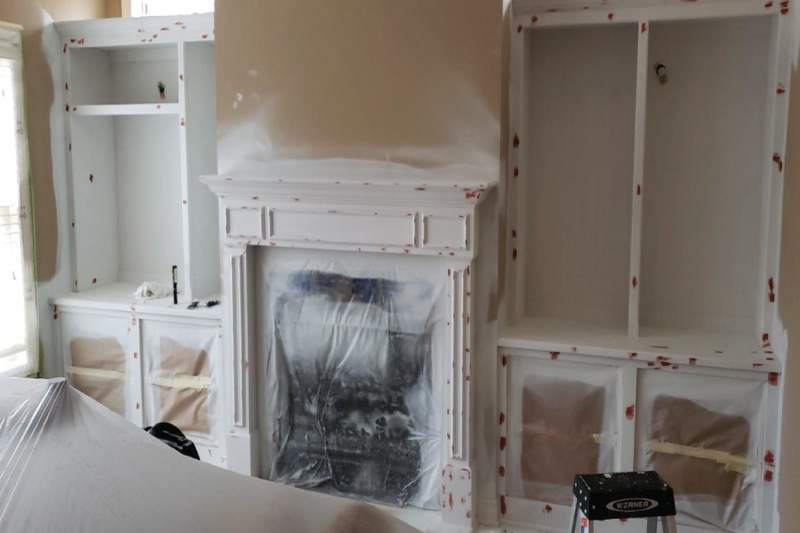 As a Minneapolis cabinet painter for over 20 years, we’ve fine tuned our painting process and you’ll enjoy the results. 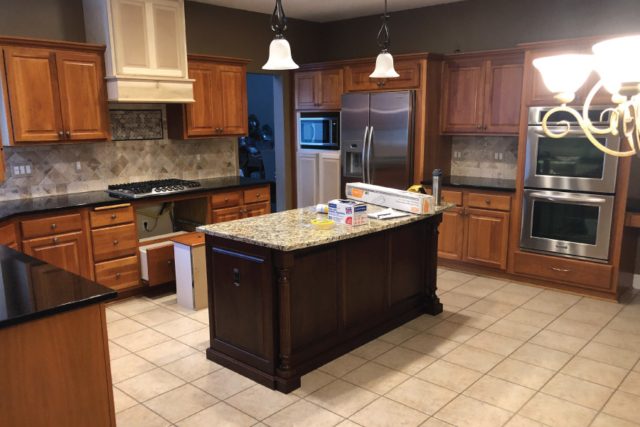 Our proven cabinet refinishing & painting process gives you a professional fine finish and excellent durability. 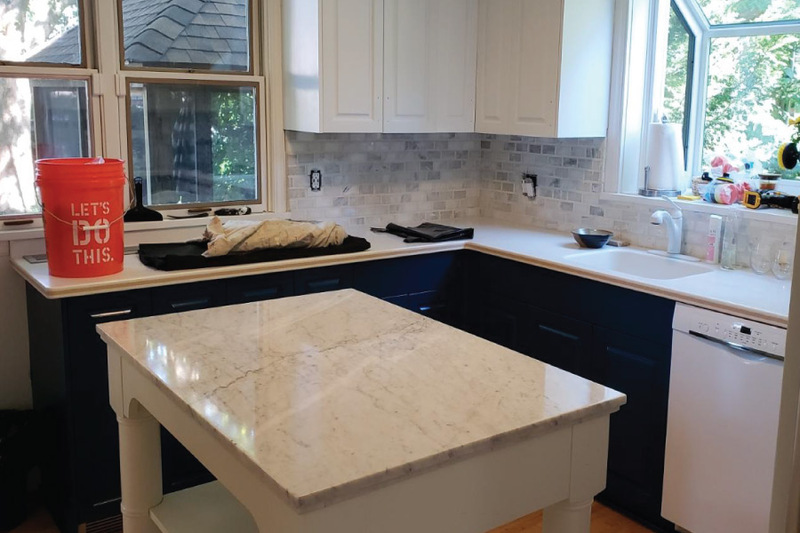 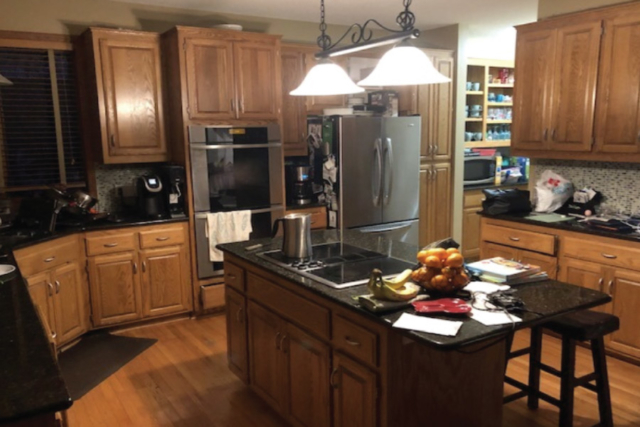 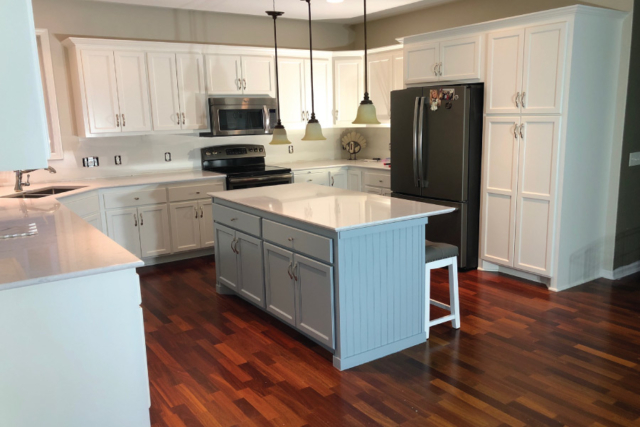 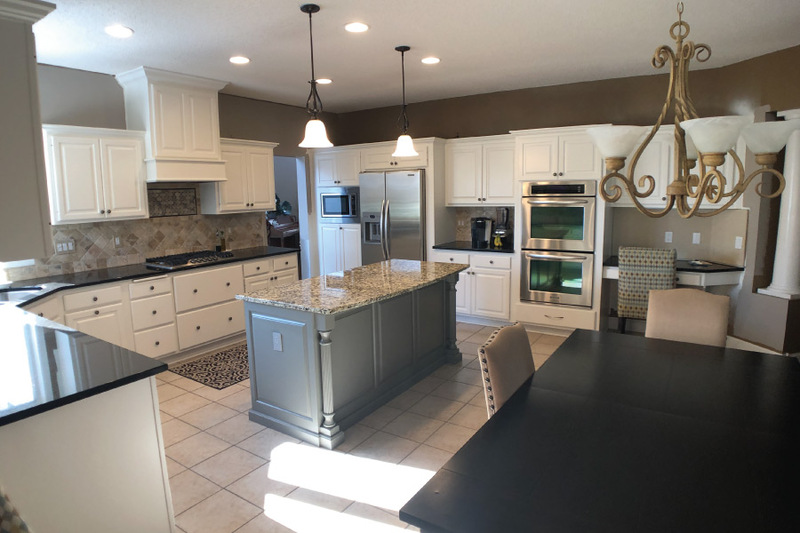 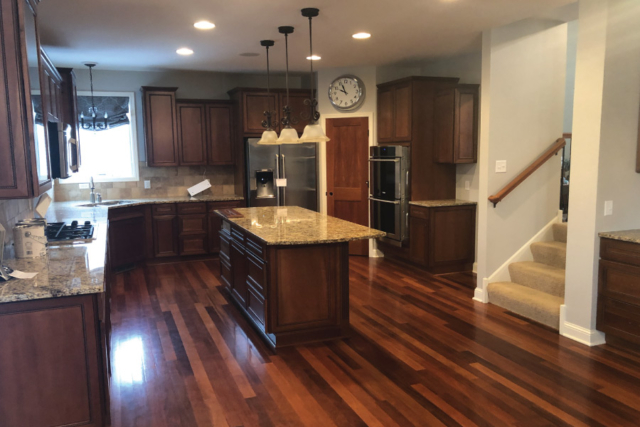 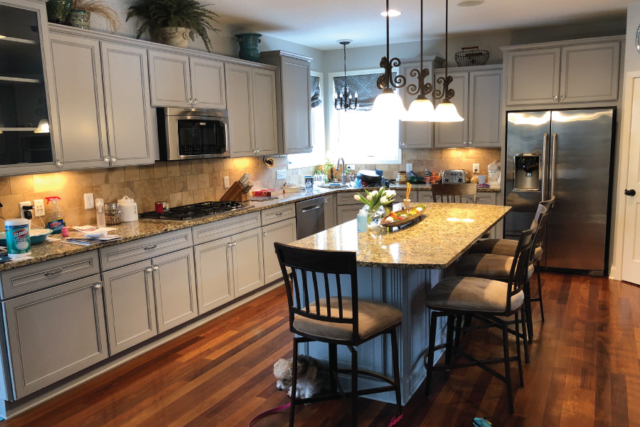 You can also get help from our color consultants if you’d like input on selecting a cabinet color to go with your counter tops, flooring and lights. 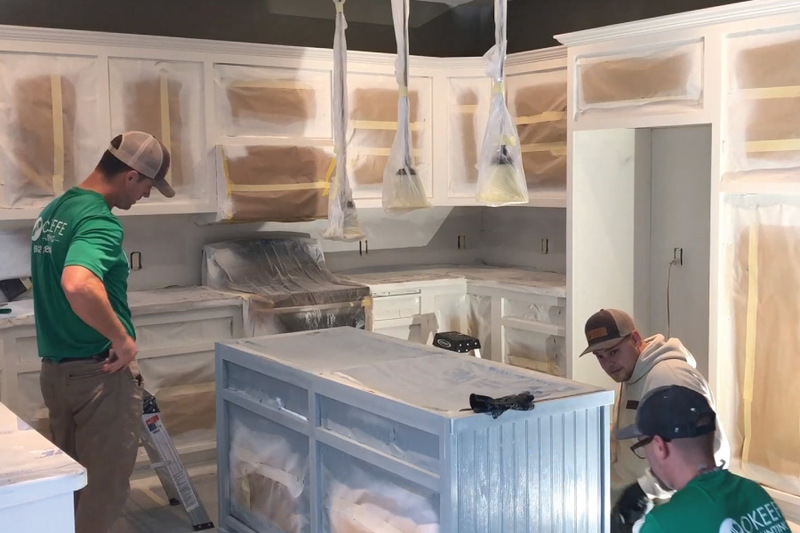 What is the process like for cabinet painting? We Spray Everything $$$ – We mask everything from appliances to counter tops and flooring and seal the area with a plastic dust barrier. 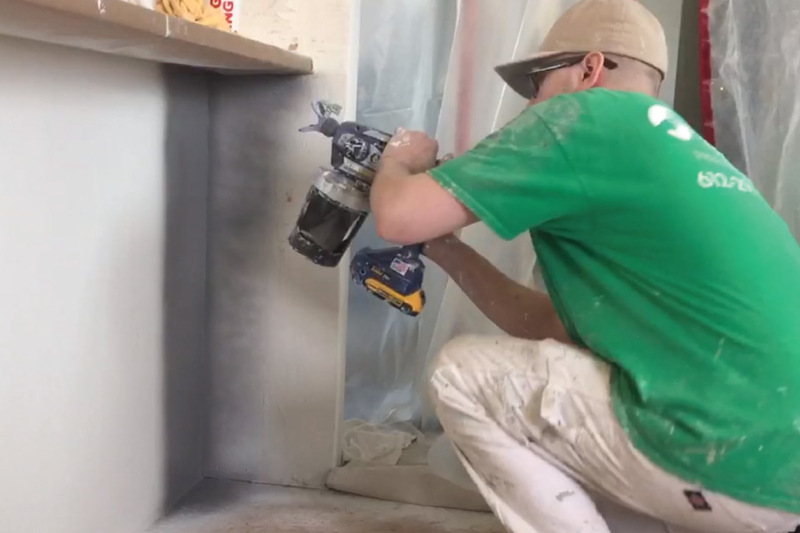 Often times we move your fridge to a safe area outside the dust barrier using an appliance air lift. We also utilize an air scrubber to exhaust paint fumes and dust. 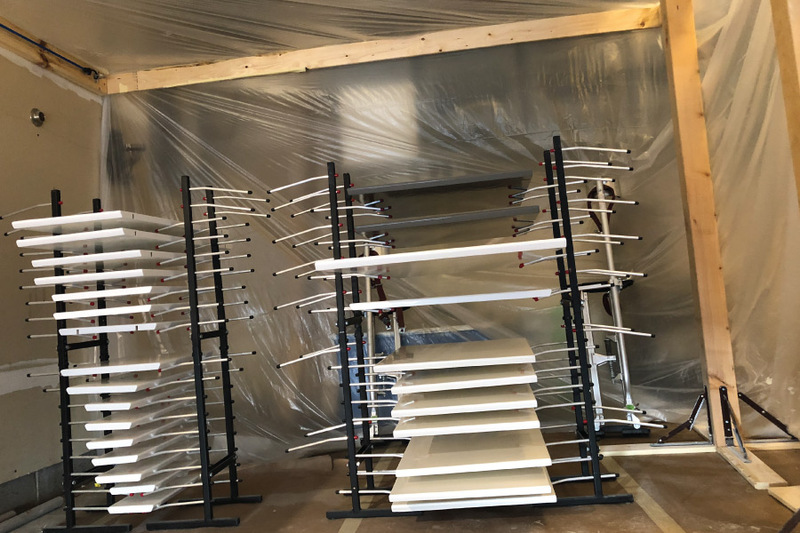 After setup is complete we continue with our standard spraying process. For most kitchens the process of preparing the area to spray will take about a day for a cabinet painting crew. 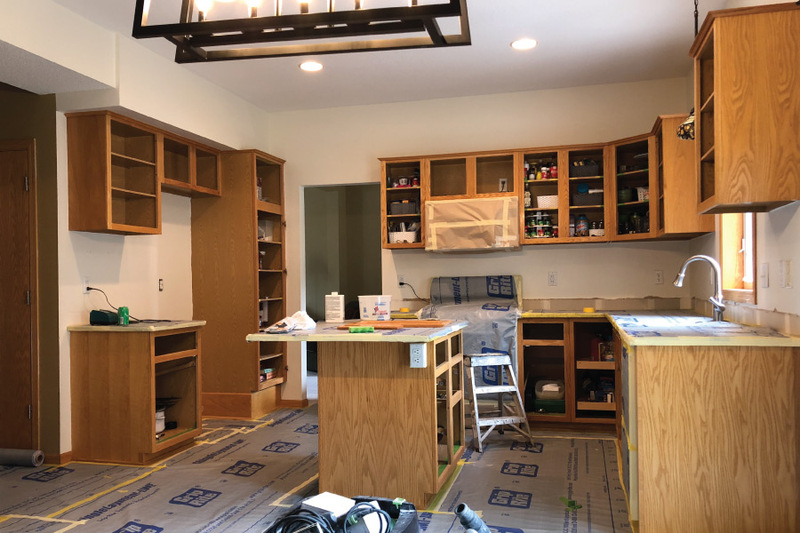 The in home cabinet box portion typically takes three days. At the second to third day we typically start working on the cabinet doors spraying them off site. We Brush and Roll Cabinet Boxes $$ – This option includes brushing and rolling cabinet boxes followed with spraying the doors off-site. 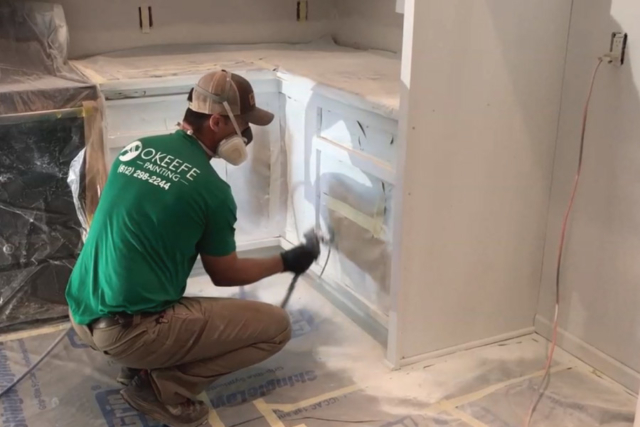 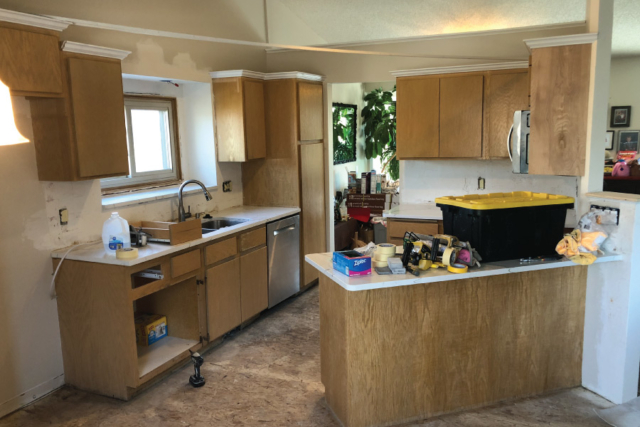 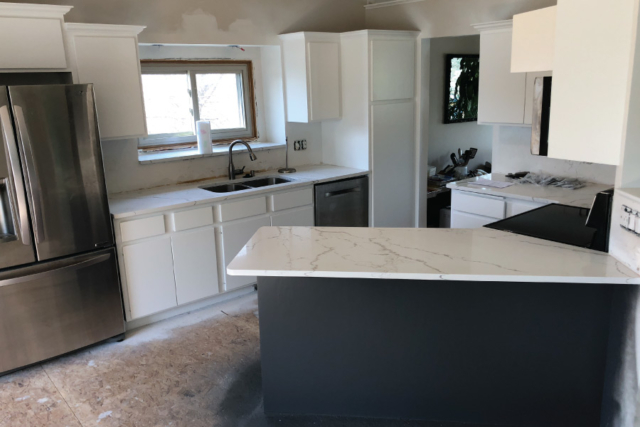 This lessens some labor time and also allows you to walk through the kitchen area during the painting process because we do not install a dust barrier. 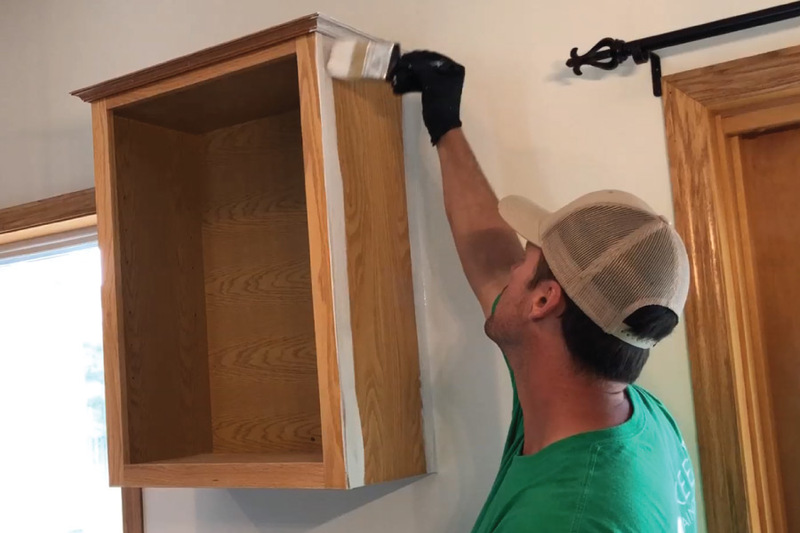 You brush and Roll Cabinet Boxes $ – To save additional labor we’ve provided the option to past clients where they brush and roll their cabinet boxes and we spray the doors off-site. 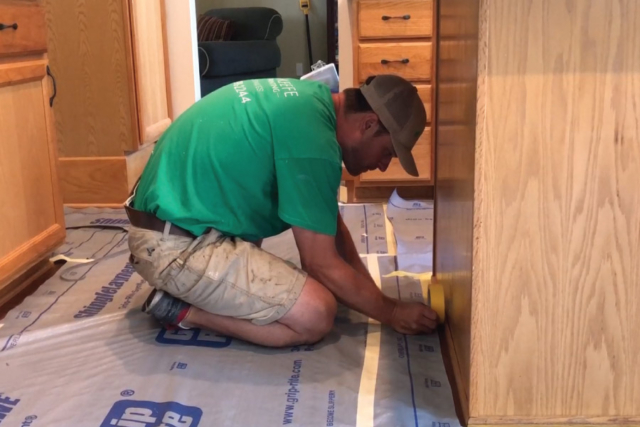 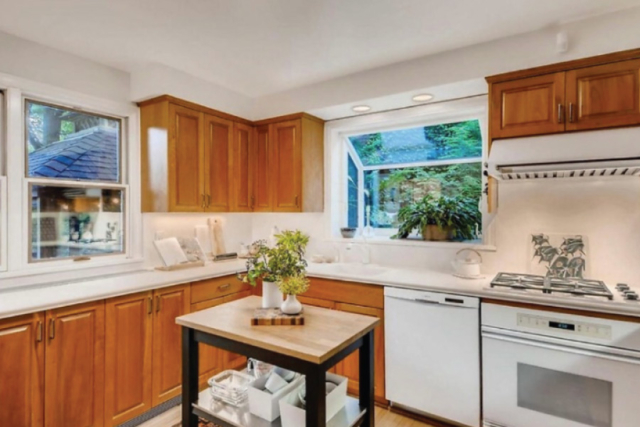 Customers will uninstall their cabinet doors and set them aside for pick-up. 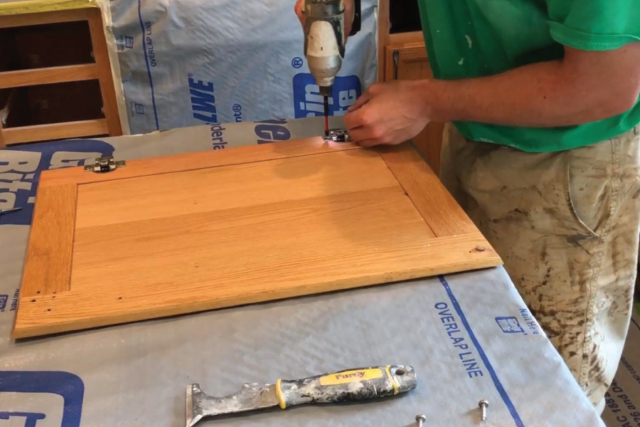 Clients will utilize the tutorial section of our website to get instruction on how to brush and roll their cabinet boxes. 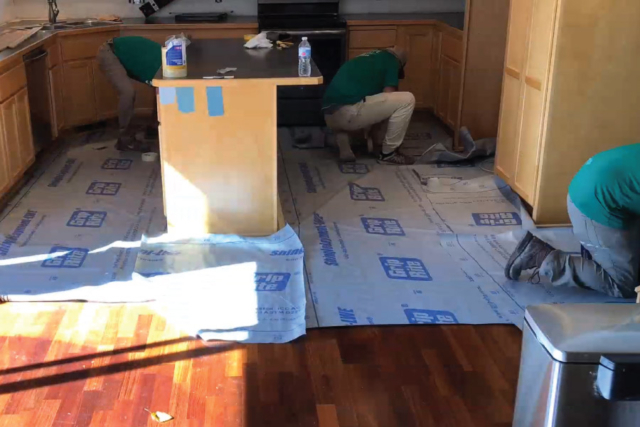 After spraying is complete we wrap them in wax paper and deliver for client to re-install. 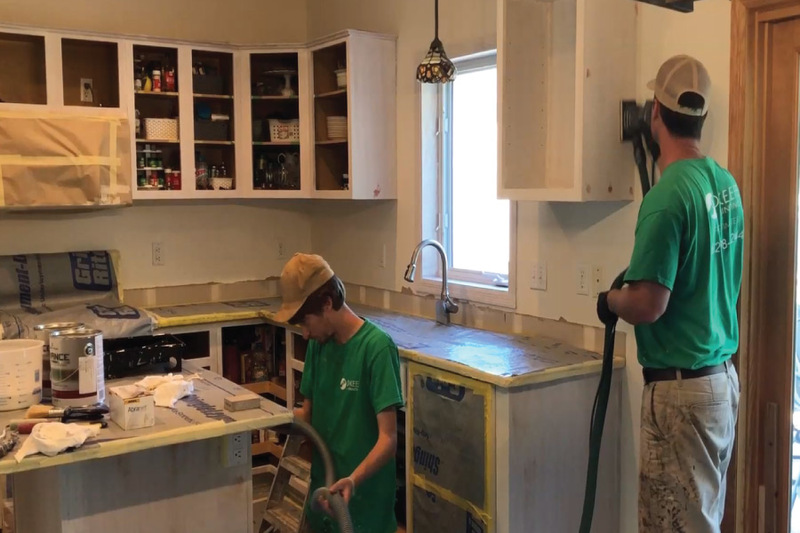 Conor and his team are outstanding. 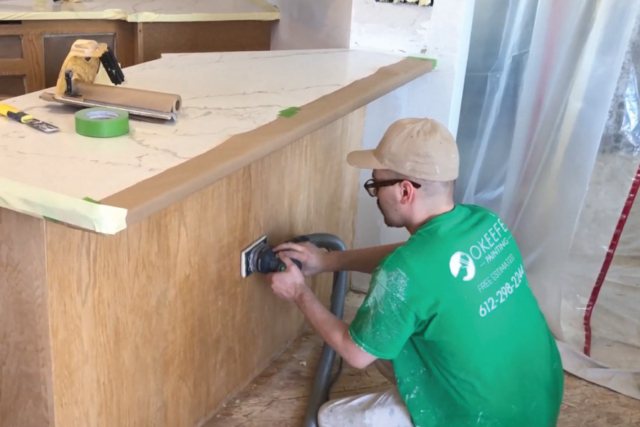 We’ve used Okeefe painting for several projects. 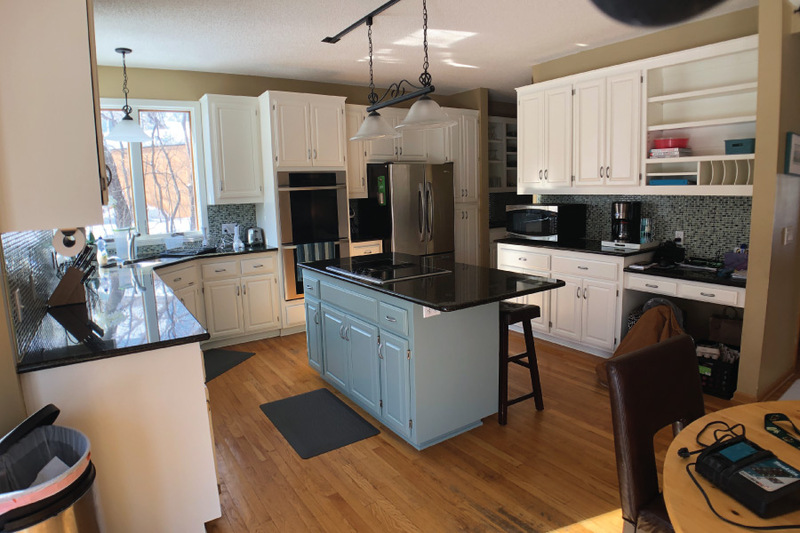 The most complex was a cabinet refinishing project where he took our maple wood cabinets and enameled them white. 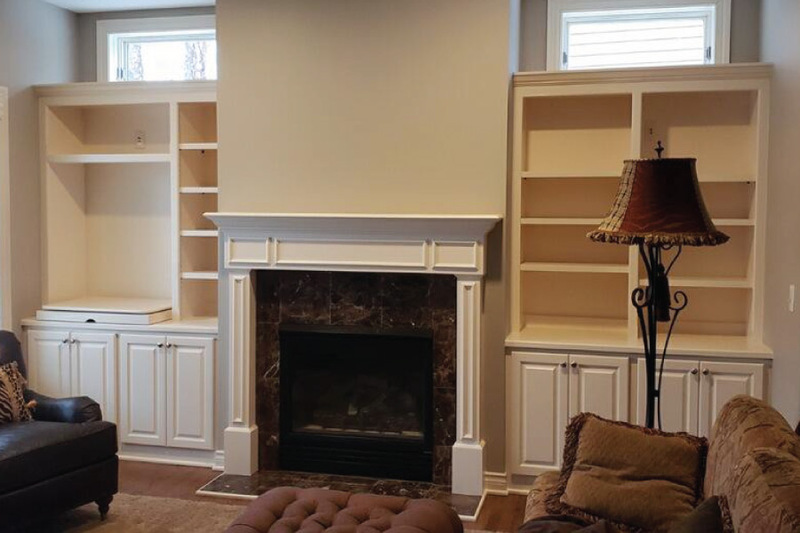 I would highly recommend and we will call them again when we have another project. 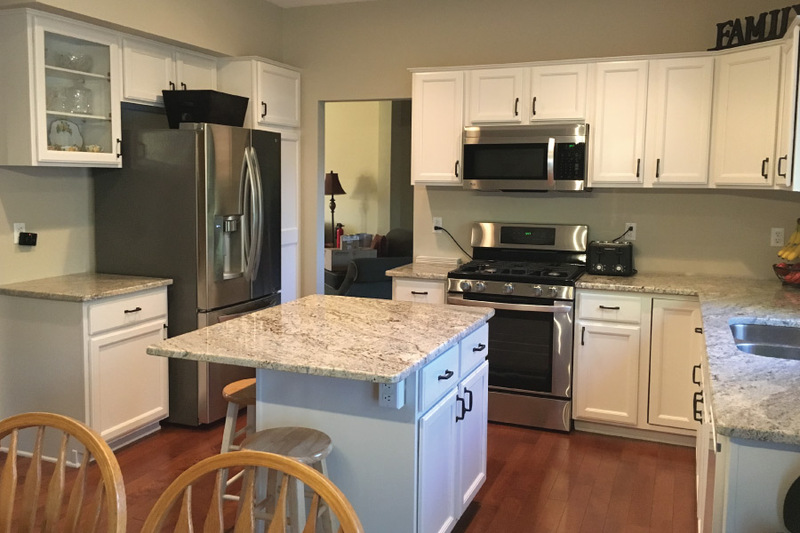 His crew is clean and thorough and Conor gives comprehensive and competitive estimates. I highly recommend! 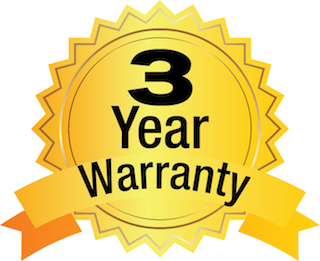 At Okeefe, we are so confident in our work, that we offer a 3-year warranty, ensuring your satisfaction, learn more. Eagan, Mendota Heights, Bloomington, Richfield, Edina, Shakopee, Savage, Rosemount, Prior Lake, Woodbury, Lakeville, Inver Grove Heights, Farmington, Burnsville, Apple Valley. During the summer our service area gets smaller to accommodate increased demand and expands during the winter. Some cities above may not be in our service area during peak demand. 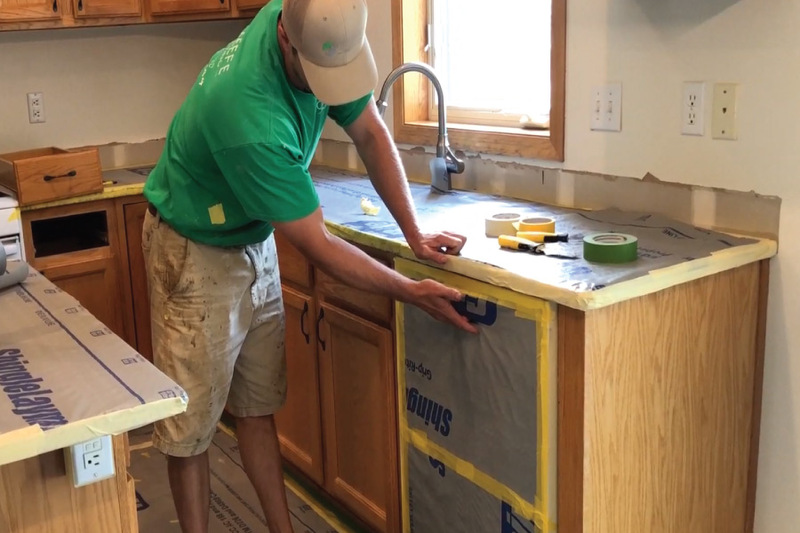 Sign up to receive updates when we post new tutorials!